Ever use Facebook, Instagram or Twitter? Of course you have – social media has become ingrained into our daily lives. And while these social sites provide many with a personal platform to connect with friends and provide personal details of our lives, what many do not realize is that this personal information can adversely affect your personal injury claim. Just imagine the horror of being involved in an automobile or work accident that was not your fault, where you suffered pain and physical limitations, forcing you to file a lawsuit for compensation. Now imagine having to provide the attorneys for the insurance company with all of your social media login information and passwords so its specialists can meticulously go through all of your personal social media postings and pictures – including the ones you thought you deleted. Now imagine the attorney for the insurance company showing a jury all of these personal postings and pictures and being allowed to argue you clearly are not as hurt as you claim to be based on the postings and pictures found on your social media. 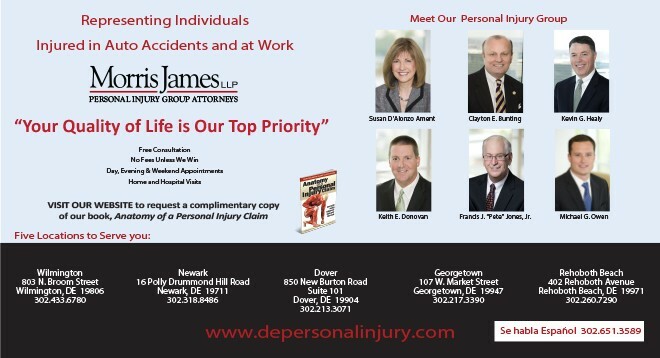 In order to prevent this from happening, the Personal Injury Group Attorneys of Morris James LLP suggest that you protect yourself by not posting any information regarding an accident you were involved in or of the injuries you sustained as a result of that accident, including pictures of physical activities or other information.